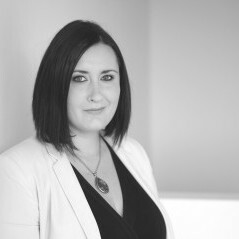 MCE Public Relations has been shortlisted for three awards at Northern Ireland’s leading PR industry Awards. 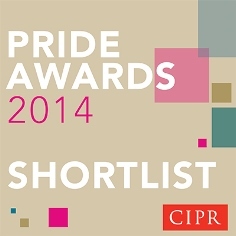 More than 350 of the UK’s leading public relations teams, consultancies and individuals, including more than 40 in Northern Ireland have made the shortlists of the 2014 CIPR PRide Awards, the UK’s premier awards scheme that recognises excellence in public relations and communications work across Scotland, Wales, Northern Ireland and six English regions. MCE’s work on the re-brand of Leukaemia and Lymphoma NI has been shortlisted in the Not-For-Profit category. Within this campaign, MCE oversaw the creation and design of a new brand identity, logo and website. Implementing an innovative and creative strategy for LLNI has helped raise awareness of the charity, increase donations and increase volunteer numbers. The MCE team has also been recognised for its work on the inaugural Great Ulster Pub Week, having been shortlisted in the Integrated Campaign category. The fully integrated advertising, PR, marketing and events campaign was delivered in May 2014 by MCE for Pubs of Ulster. The Great Ulster Pub Week was the largest multi-venue pub festival ever seen in Northern Ireland and delivered on its key objectives to give consumers a reason to revisit the pub, whilst upskilling publicans and driving footfall and sales into participating pubs. In the Public Affairs category, MCE has been shortlisted for its campaign ‘Knocking out Sectarianism and Racism in Boxing in Northern Ireland’. The MCE public affairs team worked with an Independent Working Group (IWG) to investigate sectarianism and racism in boxing in Northern Ireland. Winners will be announced at the gala award ceremony at the Culloden Estate & Spa on Friday 17 October 2014.